Cheques offer no end of convenience to business owners in Toronto. It’s easier to make transactions and complete payments with the use of cheques. On the other hand, it can be inconvenient to keep on replenishing your cheques, especially when you’re swamped with business work and then you still have to squeeze the task of going to the bank in your time. This is why you have to look for more effective methods in maintaining your supply of cheques. 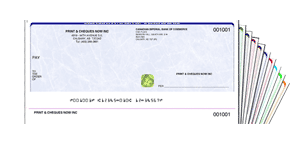 Ordering cheques is often the preferred method by some business owners. However, with the existence of reliable online printing companies, you now have options you didn’t have before. 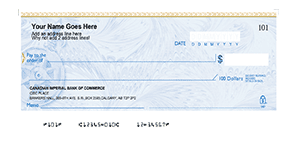 Your bank can provide you with safe-to-use cheques. These cheques are also verified so they’re already ready to use. However, most bank-issued cheques are pricey. You can get three times more the number of cheques for the same amount of money if you order your cheques from online printing companies. ChequesNow is an online printing company that also has a physical address. 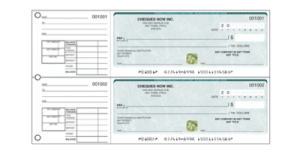 We cater to your various cheques needs. What makes ordering from us a better option for business owners is that our products are cheaper. Compared to banks, you get 25% more on laser cheques and 50% more on manual cheques. Our safety features are just as reliable, if not even better. We take pride in our gold hologram and heat sensitive ink features that give our cheques the extra security they need. We also use the same materials that banks use. Furthermore, our printing systems and equipments are members of the CPA CPSA or Canadian Payments Associations Cheque Printer Self Accreditation Program. This means all the cheques we manufacture are 100% CPA 2006 compliant. There is also no need to get these cheques submitted to the bank for further testing and verification. No other online printing company has managed to combine cost-effectiveness with efficiency and productivity. Our services ensure that your comfort and budget are at the top of our priority. If you order from ChequesNow, you can get a recurring supply of cheques at a very reasonable rate so you will never have to worry about running out on cheques again.